Ald. Ann Rainey (8th) speaks at a city meeting. Rainey and other members of the Administration and Public Works Committee discussed possibilities for 2222 Oakton St. after Smylie Brothers Brewing Co. requested to terminate its lease. Aldermen held the termination of the lease with Smylie Brothers Brewing Co. in committee during the Administration and Public Works meeting Tuesday, requesting direction from city staff about negotiations with the company and a proposal for future use of the property. According to city documents, the lease at 2222 Oakton St. was meant to last 10 years at a monthly rent of $13,645.83, with the first 18 months rent-free to accommodate construction. Last month, however, company owner Michael Smylie requested a termination of the lease due to a lack of funds. Aldermen voted to delay action on the termination of the lease at the May 14 City Council meeting, waiting to negotiate with the company. The city currently owns the property, which was previously used as a recycling center until 2010. In 2015, former Mayor Elizabeth Tisdahl put the property up for sale, but just three years later, the city has to find another buyer or renter. Ald. Thomas Suffredin (6th) told The Daily that the situation with Smylie Brothers — which rents the property — demonstrates the advantages of getting someone to purchase the building instead. “I would love us to put together a well-crafted request for proposals and see what comes out of it,” Suffredin said. According to city documents, several other businesses are interested in the location, including the Peckish Pig, an Evanston-based restaurant in the 8th Ward, and First Ascent Climbing and Fitness, a Chicago rock climbing gym. Evanston ReBuilding Warehouse, a nonprofit promoting waste reduction, also made a case for the building at the Tuesday meeting. During the meeting, Ald. Ann Rainey (8th) said potential buyers or tenants should pay property taxes, but a nonprofit might seek a tax exemption. As Evanston continues to struggle with balancing its budget, she said having a tax-paying buyer or tenant at this property could help fund “basic needs” in the city. Ald. Cicely Fleming (9th) said she was inclined to sell the property and see what developers have to offer. She said the property could be a “huge investment” for the council, helping the city’s finances after years of debt. 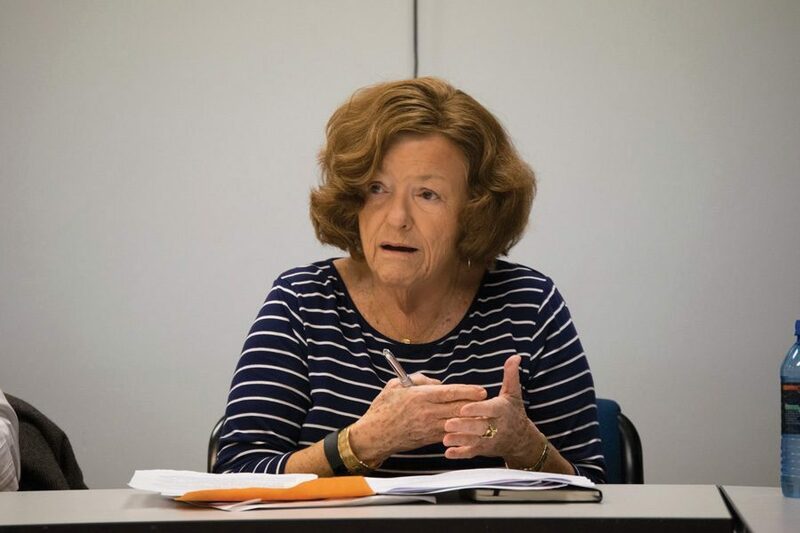 However, she cautioned City Council from “going down two roads at one time” by pursuing nonprofits and businesses at once, suggesting the city make a decision about a buyer in the near future. Rainey said the city needs to focus on getting “a good deal” and be careful selling the property, which is located in her ward.